Professor William Waterman Sherman is sick and tired of teaching mathematics to schoolchildren. 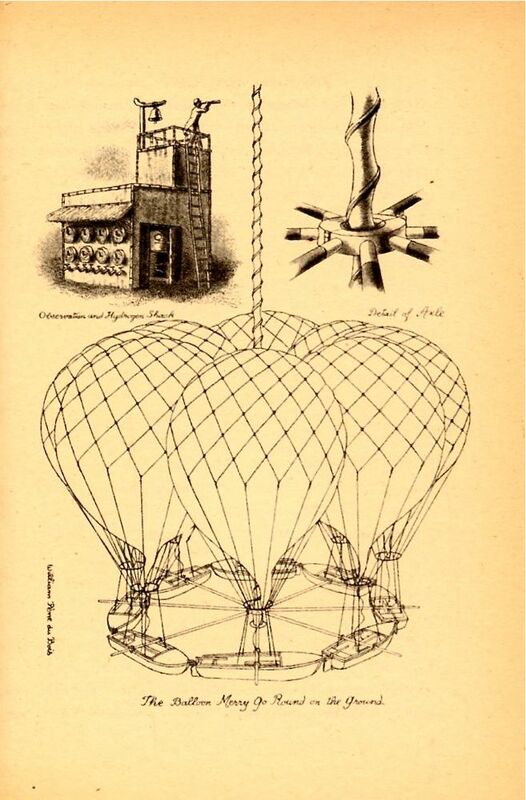 For his retirement he devises a grand scheme to build a giant balloon, attach a small house beneath, and travel for a year floating above the earth, wherever the wind blows him. 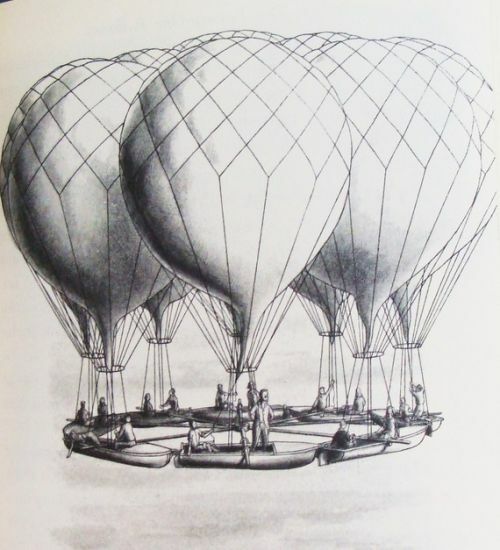 He sets off from San Francisco in his balloon, and is found two weeks later drifting in the Atlantic amid the remains of not one, but twenty balloons! The world is breathless for his story – did he really travel around the world? What happened? And where did all those extra balloons come from? 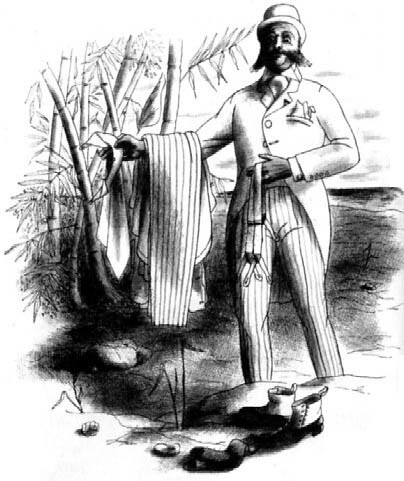 Sherman says he will relate his amazing tale at the next meeting of the Explorer’s Club in San Francisco. The suspenseful stage is set for a truly astonishing story. This tale weaves together fact and fantasy – the former in stories from ballooning history, and the latter with diamond minds and a secret community on the remote island of Krakatoa. Sherman’s original plans go awry when meddlesome seagulls force him to crash land on Krakatoa, narrowly missing becoming a shark’s breakfast. He is rescued and taken in by a mysterious group of inventors and adventurers. Having discovered a vast diamond mine on Krakatoa, they have used their wealth to create a society centred around gourmet food, build themselves sumptuous homes, and indulge their love for crazy inventions. (Witness the self-making bed with continuous sheets, and the rather dangerous electrical armchairs.) Sherman is just settling down in his new home when the volcano begins to rumble. 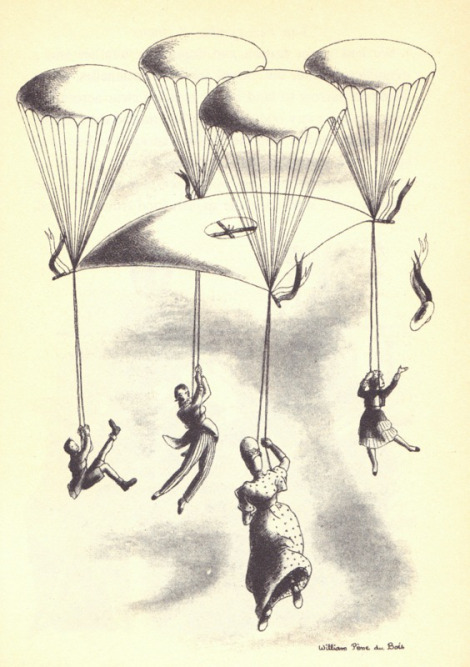 The 80 inhabitants (+ guest) have barely enough time to put their escape plan into action – rising into the air on a vast platform lifted by twenty enormous balloons just before Krakatoa explodes! This charming tale is full of whimsy and adventure. There is a lot of mechanical detail as the inventions are described but the tale is always kept hopping by the mishaps and catastrophes that occur around every corner. In short, there are balloons, Rube Goldberg-esque contraptions, sharks, diamonds, volcanoes, and high adventure! The only downside would be that this book is written in a formal, old-fashioned style. 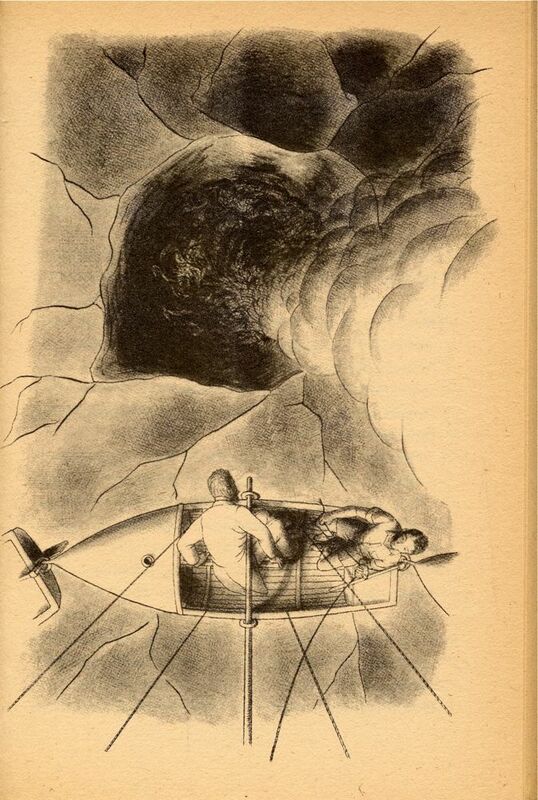 Think Jules Verne or H.G. Wells, but for younger readers (ie. a shorter, snappier read). Who knows, this novel may just lead them to tackle Around the World in 80 Days next. And it’s actually quite refreshing to read a book written with that old-school romantic faith in what science and human ingenuity can accomplish! A rollicking travel adventure with lots to interest and inspire potential scientists, engineers, inventors, and world-travellers. Slightly old-fashioned in tone and style, but it moves along with great humour. Would be a terrific read-aloud.